● Coupon codes can take $5 or even 20% off your entire bill. Calculate in advance, which one will yield the greater savings for your personal parking situation. 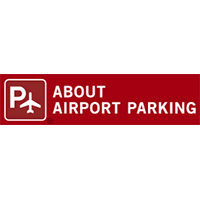 About Airport Parking gives you the ability to know what's going on with the airports that are near to you, or to find out what's going on with the airports that you are traveling to. More specifically, this website makes it possible to find out what's going on with the parking. You can find out exactly what is to be expected with more than four hundred parking lots across a span of more than one hundred airports. You can find out whether or not you can reserve a parking space for yourself, and then make your reservation accordingly. This website makes everything extremely straightforward, in terms of making sure you have a spot. For most up to date offers check out About Airport Parking on Facebook and Twitter or contact About Airport Parking Support for any questions.